THE PULSE: Marriott adds Atlantis Paradise Island to its Autograph Collection. WHY IT RATES: This is simply a move to help the ever-popular resort stay relevant as it preps to face its first true level-playing-ground competition on Nassau. The $3.6 billion Baha Mar resort is scheduled to open in December and has been grabbing all the headlines as of late. 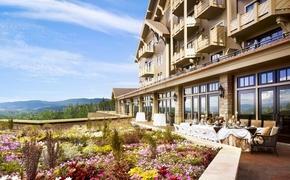 There's some logistics that are important here, as the resort's owners, Brookfield Asset Management, reorganized the company's debt and management. Marriott International, Inc. announced today that the iconic Atlantis, Paradise Island resort will become part of its Autograph Collection, a rapidly growing exclusive portfolio of over 60 independent hotels in key locations across the globe. Regarded as the premier destination resort in The Bahamas and Caribbean, the 3,400 room Atlantis, Paradise Island will operate under a franchise agreement with Marriott and benefit from the company’s global sales and reservations organization, 45-million member Marriott Rewards loyalty program and Marriott.com which generates more than $9.6 billion in gross room bookings annually. 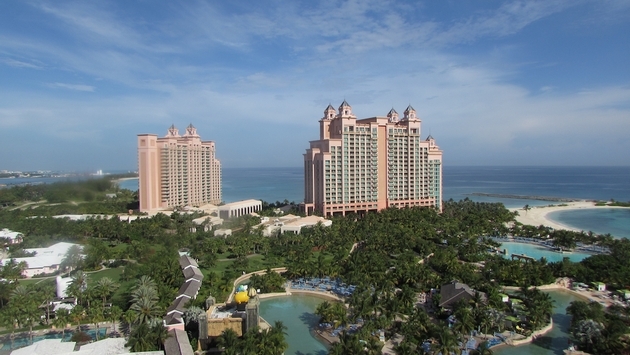 Atlantis marks the collection’s first member resort in The Bahamas and will be the largest hotel in the portfolio. The property, owned by Brookfield Asset Management and independently managed, is expected to officially join the Autograph Collection in the fall. “This is a significant milestone for us today as Marriott International not only marks its entry into the Bahamas, but also celebrates our 80th hotel in the Caribbean and Latin America’s rapidly growing portfolio,” said Craig Smith, president of the Caribbean and Latin America region for Marriott International. “This is an exciting time for hotel development in the region, where we have over 50 hotels under development and expect to offer more than 150 hotels by 2017 across ten lodging brands in 27 countries and territories”. The vision behind the Autograph Collection is to offer an evolving group of passionately independent hotel experiences ranging from a 15-room boutique hunting lodge in the mountains of Colorado to a 19th-century neoclassical palace in the majestic city of Prague. Exactly like nothing else, each hotel is thoughtfully chosen for its quality, originality, bold character and capacity to offer today’s modern traveler a range of unique experiences suited to their individual sense of style and adventure. While still relatively new, the distinct portfolio has proven to be a highly successful venture due to its discerning selection process and unique ability to create memories through enriching travel experiences.